A physician is a health professional who is responsible for keeping a check on patient’s health and helping them recover from health-related suffering. 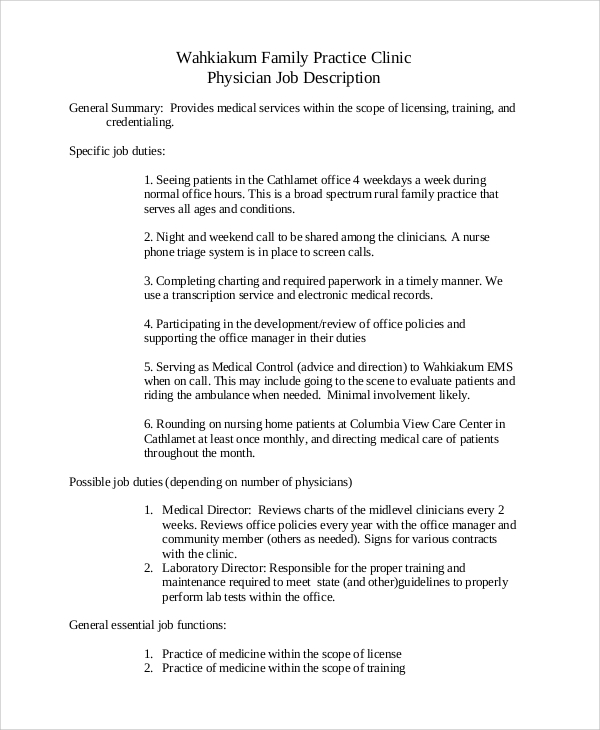 A physician’s job description samples help medical students who have completed the five years rigorous tenure of medical school and is looking out for jobs to join as doctor or physician in clinics and hospitals. There are various fields of medical study known as specializations, and a Job Description Samples varies with specialization. 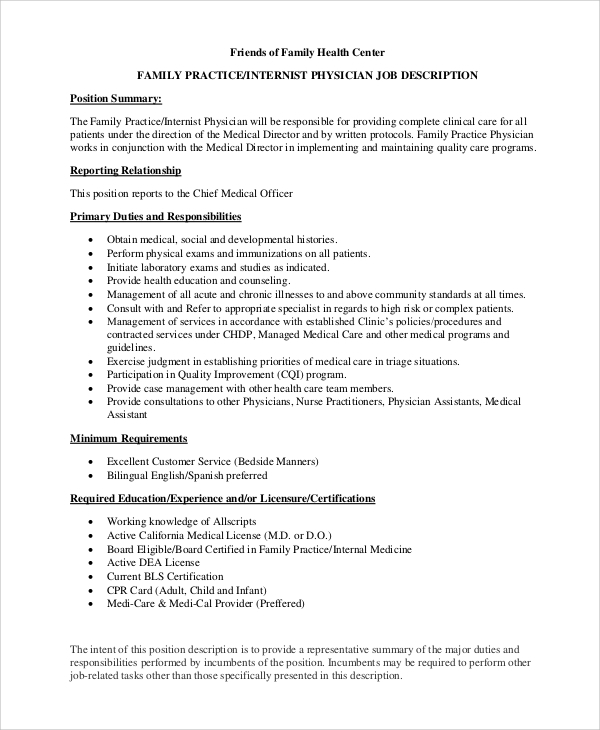 A family physician job description states the qualifications expected from the applicant of the job post along with responsibilities they will be assigned to practice medicine within the scope of licensing. In the remote areas where medical resources are unapproachable, medical camps are organized which employs volunteer physician. 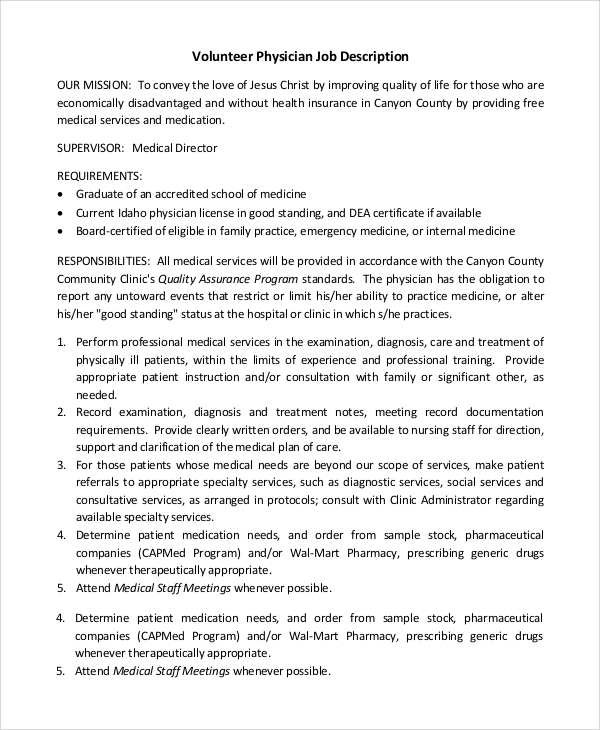 A volunteer physician Job Description is available for the applicant to browse through. A cardiothoracic physician is a medical professional, responsible for keeping a check on patient’s heart and thorax related ailments. 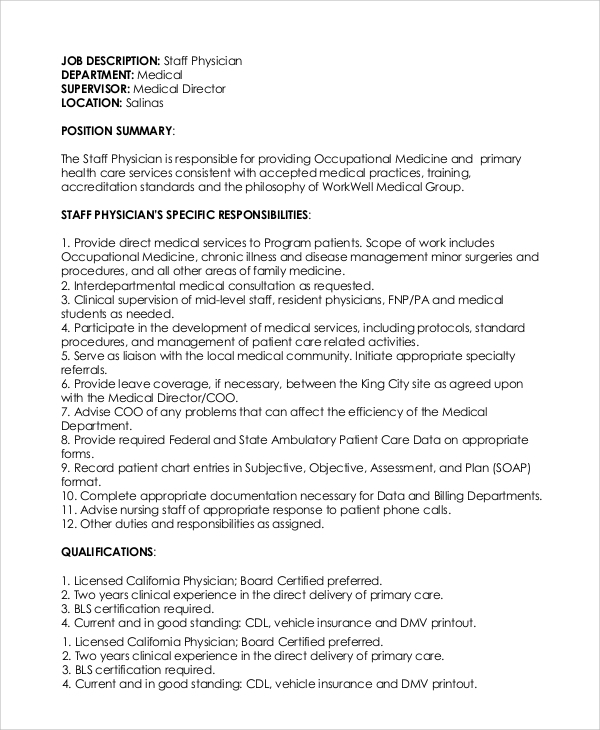 A cardiothoracic physician assistant job description implies the responsibilities for an applicant. A medical graduate student is open to more than one option after their completion of 5 years of bachelor’s degree course inclusive of 1 yr internship. The job applications are overwhelming, and the student always has options for MD course to attain specialization in their field of interest. The Job Description Examples are essential elements in any advertisement which help them to get an outline and idea of the responsibilities they will have to attend to if they are selected for the job interview. 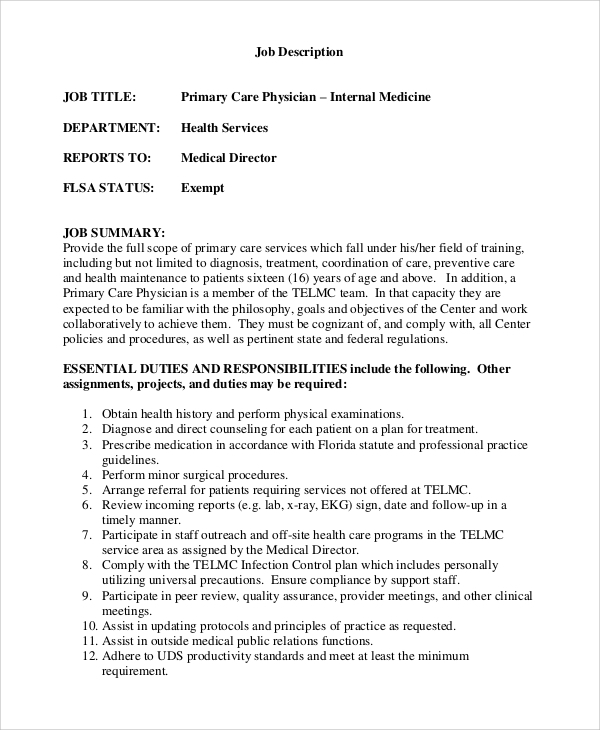 For example, pediatrician job description samples enlist the responsibilities associated with child health care. Institutions like old age home have a position for a medical consultant or consultant physician. 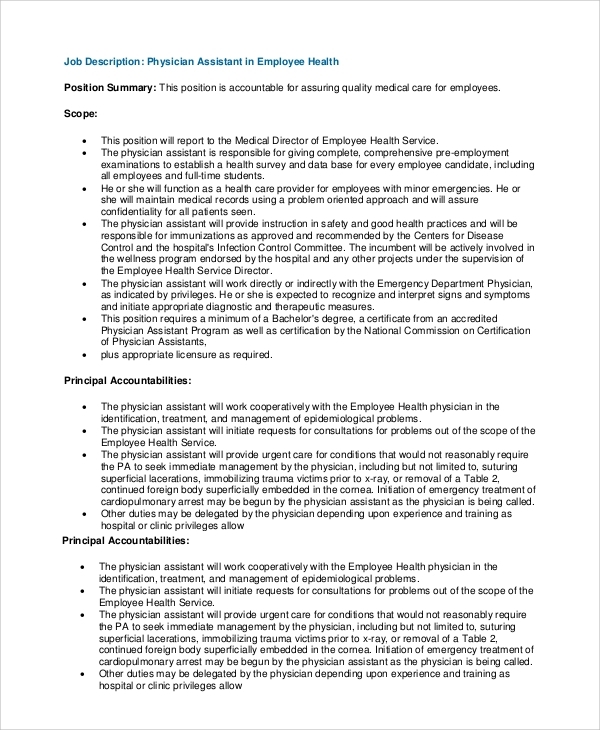 A consultant physician job description includes medical diagnosis and referring to higher health care if needed. A physician in health care units needs to share a wide range of responsibilities with co-physicians. 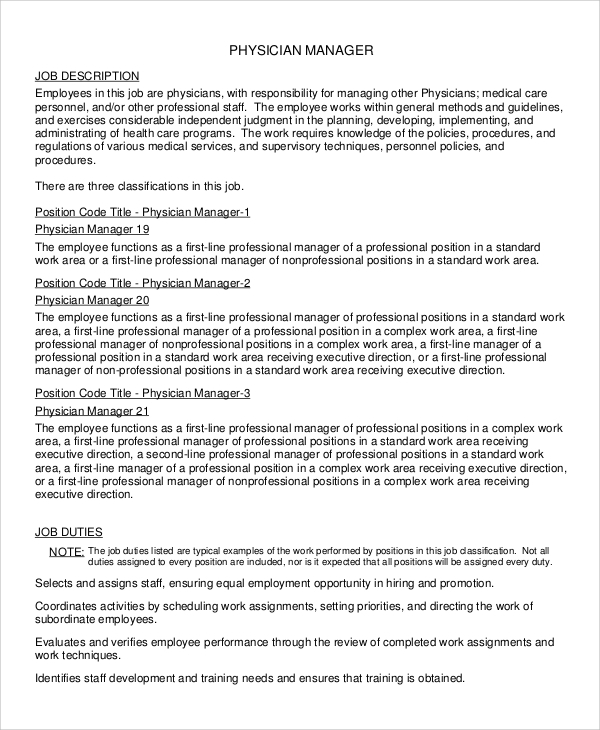 A physician manager job description entitles them to manage and supervise work of others. In the highly competitive and increasingly populated world of job applicants in different fields such as engineering, medicine, education, management, etc. an applicant has to weigh all the probable pros and cons before any application for a particular position. 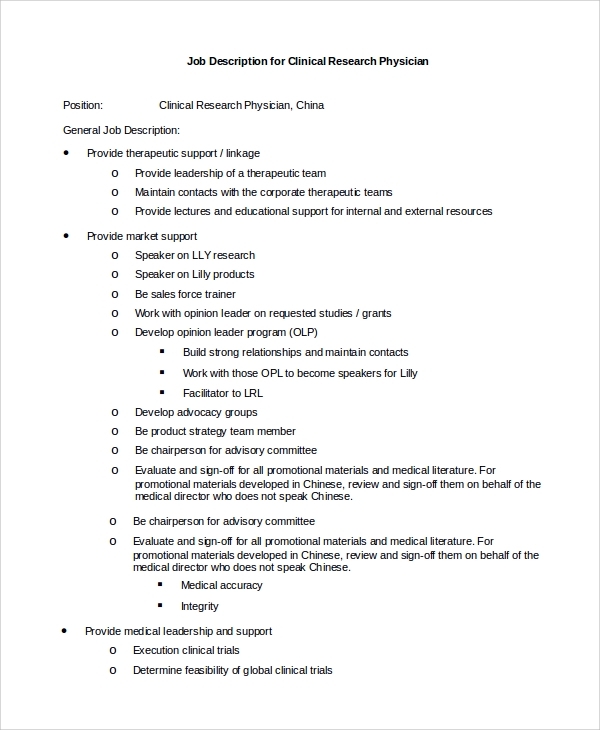 You can also see the Physical Therapist Job Description Samples. 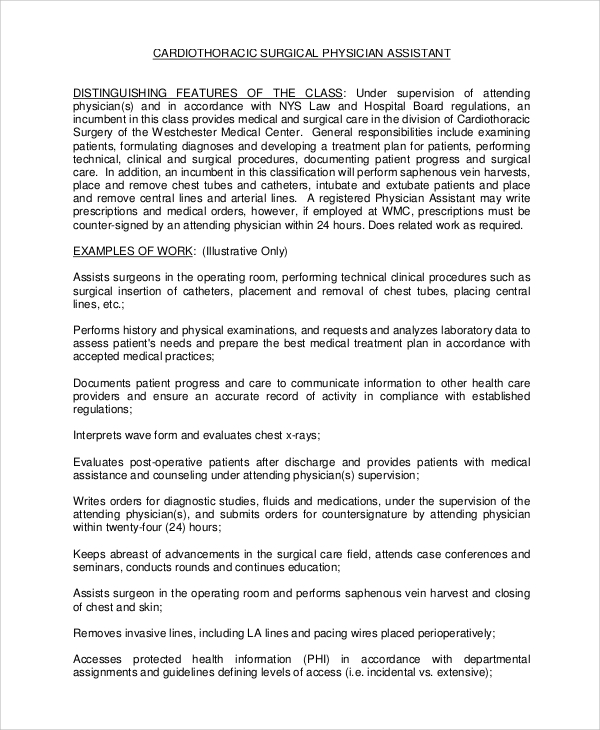 This weighing of options and purposes becomes difficult for a fresher medical student with no other clear avenue directions to shortlist the choice of interest. The job advertisements make this easier by offering job description. 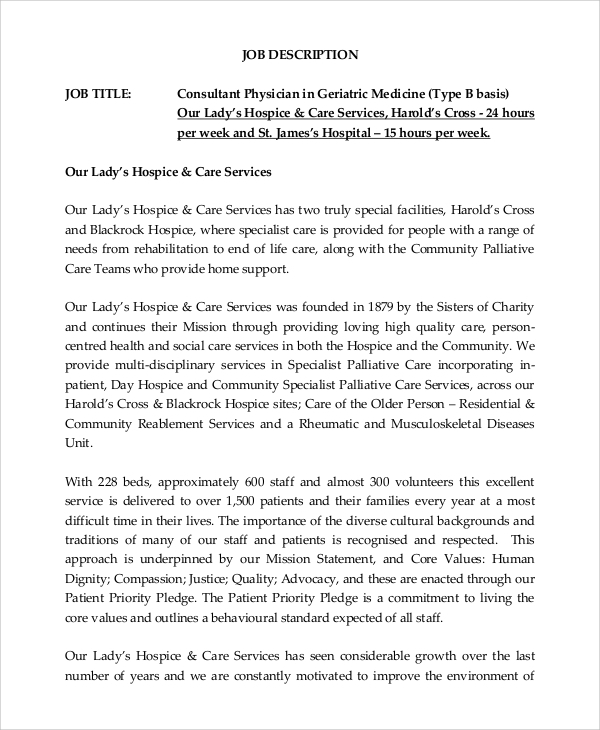 A physician job description often consists of basic outlines of responsibilities in the hospital or nursing home to which they are expected to tend to. The job description is important for an applicant who is keen in understanding the responsibilities offered by the job and decides whether he/she would like to join there or not. Physician Assistant Job Description Samples helps to clear the blurred line of difference in job description between physician and physician assistant.